Stairway to Heaven leads the list of the best songs ever. 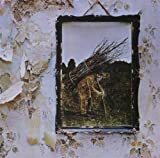 Created by the English rock band Led Zeppelin, the song was composed by Jimmy Page and Robert plant and comes from the groups forth album appropriately entitled Led Zeppelin IV. It was voted #3 in 2000 by VH1 on their list of the 100 Greatest Rock Songs. The band Led Zeppelin had a mystique about them. Beloved by fans, but often slandered by the press, Led Zeppelin communicated with their fans through their music and concerts, which were legendary. Their song Stairway to Heaven will always be considered one of the greatest Rock and Roll songs of all time! Listen to a sampling of Stairway To Heaven on Amazon. The song Wish You Were You comes from the album of the same name. It was written by Roger Waters of Pink Floyd as he lamented the untimely passing of former band member Syd Barrett. The main riff came to David Gilmour at home while playing on an acoustic guitar, the riff became something which he continued to play in-between takes at Abbey Road Studios where it caught the attention of Roger Waters. It is a song that resonates with everyone, has withstood the test of time and is certainly considered one of the Best Rock and Roll Songs Ever. 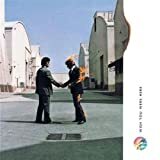 Listen to a sampling of Wish You Were Here (1992 Digital Remaster) on Amazon. “Thunder Road” is a song written and performed by Bruce Springsteen, and the opening track on his 1975 breakthrough album Born to Run. It is consistently ranked as one of Springsteen’s greatest songs, and one of the top rock songs of all time. The song underwent considerable evolution as it was written, with an early version titled “Wings For Wheels” first performed at The Main Point in Bryn Mawr on February 5th 1975. That phrase would eventually be used in the final version of the lyrics. The original version also mentions a girl named “Christine,” “Christina,” or “Angelina” (in various versions) rather than the studio homage to “Mary”. Read more on Wikipedia. Listen to a sampling of Thunder Road on Amazon. 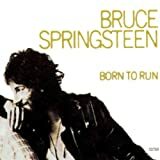 Born to Run is the third album by the American rock singer-songwriter Bruce Springsteen. It was released on August 25, 1975 through Columbia Records. It captured the heaviness of Springsteen’s earlier releases while displaying a more diverse range of influences. Born to Run was a critical and commercial success and became Springsteen’s breakthrough album. It peaked at number three on the Billboard 200 and reached high positions on charts worldwide. Two singles were released from the album: “Born to Run” and “Tenth Avenue Freeze-Out”, the first helped Springsteen to reach mainstream popularity. The tracks “Thunder Road” and “Jungleland” became staples of album-oriented rock radio and Springsteen concert high points. The album has been placed on several “best ever” lists and is listed in the Library of Congress’ National Recording Registry of historic recordings. On November 14, 2005, a “30th Anniversary” remaster of the album was released as a box set including two DVDs: a production diary film and a concert movie. Read more on Wikipedia. Listen to a sampling of Born To Run on Amazon. 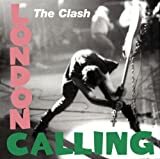 London Calling is the third album by English punk rock band The Clash, released 14 December 1979, on CBS Records in the UK and in January 1980 on Epic Records in the United States. The album represented a change in The Clash’s musical style, and featured elements of ska, pop, soul, rockabilly and reggae music. The album’s subject matter included unemployment, racial conflict, drug use, and the responsibilities of adulthood. 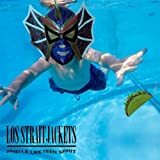 The album received highly positive reviews and was ranked at number eight on Rolling Stone’ list of the 500 Greatest Albums of All Time in 2003. London Calling was a top ten album in the UK, and its lead single “London Calling” was a top twenty single. It has sold over two million copies worldwide, and was certified platinum in the United States. Read more on Wikipedia. Listen to a sampling of London Calling on Amazon. 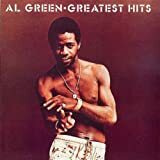 ‘m Still in Love With You is an album released in 1972 by Al Green. In 2003, the album was ranked number 285 on Rolling Stone magazine’s list of the 500 greatest albums of all time. In 2004, the song “Love and Happiness” was ranked number 98 on Rolling Stone magazine’s list of the 500 greatest songs of all time. The song was referenced in Tyler Perry’s Madea’s Class Reunion (2003), in which the Madea character does an extended impression of the percussion opening and lyrics. It also appeared again in Tyler Perry’s The Marriage Counselor (2008), in which the Floyd character does a more extensive performance of the song. “I’m Still in Love with You” (#3) and “Look What You Done for Me” (#4) were both major Top 5 hits on the Pop chart in the U.S.. Read more on Wikipedia. Listen to a sampling of Love And Happiness on Amazon. 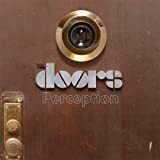 “Light My Fire” is a song originally performed by The Doors which was recorded in August 1966 and released in January 1967, in the album The Doors. It spent three weeks at number one on the Billboard’s Hot 100, and one week on the Cashbox Top 100. It was re-released in 1968, peaking at number 87. The song was largely written by Robby Krieger, and credited to the entire band. A live version was released in 1983 on their album Alive, She Cried, the first of several live or compilation albums released in subsequent decades to include the song. The song is #35 on Rolling Stone’s list of the 500 Greatest Songs of All Time. It was also included in the Songs of the Century list and was ranked number 7 in VH1’s 100 Greatest Songs of All Time list. José Feliciano’s cover version won a 1969 Grammy Award for Best Male Pop Vocal Performance, the same year he won another Grammy for Best New Artist. Read more on Wikipedia. Listen to a sampling of Light My Fire (LP Version) on Amazon. 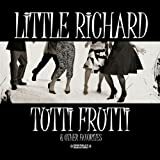 “Tutti Frutti” is a song by Little Richard, which became his first hit record in 1955. With its opening cry of “Womp-bomp-a-loom-op-a-womp-bam-boom!” (supposedly intended to be a verbal parody of a drum intro) and its hard-driving sound and wild lyrics, it became not only a model for many future Little Richard songs, but also one of the models for rock and roll itself. Although Little Richard Penniman had recorded for Peacock Records since 1951, his records had been relatively undistinguished and had sold poorly. In February 1955, he sent a demo tape to Specialty Records, which was heard by producer Robert ‘Bumps’ Blackwell. Blackwell heard promise in the tapes and arranged a recording session for Little Richard at Cosimo Matassa’s studio in New Orleans in September 1955, with Fats Domino’s backing band. The band included Lee Allen and Alvin “Red” Tyler on saxophones, Frank Fields on guitar, and Earl Palmer on drums. However, as the session wore on, Little Richard’s anarchic performance style was not being fully captured on tape. Read more on Wikipedia. Listen to a sampling of Tutti Frutti on Amazon. “Smells Like Teen Spirit” is a song by the American rock band Nirvana. It is the opening track and lead single from the band’s 1991 breakthrough album Nevermind. Written by Kurt Cobain, Krist Novoselic, and Dave Grohl and produced by Butch Vig, the song uses a verse-chorus form where the main four-chord riff is used during the intro and chorus to create an alternating loud and quiet dynamic. The unexpected success of “Smells Like Teen Spirit” propelled Nevermind to the top of the charts at the start of 1992, often marked as the point where alternative rock entered the mainstream. “Smells Like Teen Spirit” was Nirvana’s first and biggest hit, reaching number six on the Billboard Hot 100 and placing high on music industry charts all around the world in 1991 and 1992. “Smells Like Teen Spirit” received many critical plaudits, including topping the Village Voice Pazz & Jop critics’ poll and winning two MTV Video Music Awards for its music video, which was in heavy rotation on music television. The song was dubbed an “anthem for apathetic kids” of Generation X, but the band grew uncomfortable with the success and attention they received. In the years since Nirvana’s breakup, listeners and critics have continued to praise “Smells Like Teen Spirit” as one of the greatest rock songs of all time. Read more on Wikipedia. Listen to a sampling of Smells Like Teen Spirit on Amazon. “No Woman, No Cry” is a reggae song made famous by Bob Marley & The Wailers. The song first became world-famous in 1974 through the studio album Natty Dread. The live version from the 1975 album Live! is perhaps best known — it was this version which was released on the greatest hits compilation Legend. A lot of confusion occurred due to the fact that most people thought the song was implying “No woman, no need to cry”, but the song’s title actually means “No, woman, don’t cry”. Though Bob Marley may have written the son or may have written the melody, songwriter credits were given to “V. Ford”. Vincent Ford was a friend of Marley’s who ran a soup kitchen in Trenchtown, the ghetto of Kingston, Jamaica where Marley grew up. The royalty checks received by Ford ensured the survival and continual running of his soup kitchen. Ford died aged 68 in Jamaica on 28 December 2008 from complications from diabetes mellitus. Read more on Wikipedia. Listen to a sampling of No Woman, No Cry on Amazon. 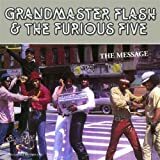 “The Message” is an old school hip hop song by Grandmaster Flash and the Furious Five. Sugar Hill Records released it as a single in 1982 and it was later featured on an album named The Message. Though not the first in the genre of rap to talk about the struggles and the frustrations of living in the ghetto, the song was unique in that it was set to a slower beat, refocusing the song on the lyrics over the music. The song was written by Sugar Hill session musician Ed “Duke Bootee” Fletcher and Furious Five MC Melle Mel. Flash and the other members of The Furious Five, although credited on the record, were uninterested in recording the song and are not found on the finished record. Read more on Wikipedia. Listen to a sampling of The Message (LP Version) on Amazon. “The Tracks of My Tears” is a 1965 hit single by The Miracles for the Tamla (Motown) label. It is considered among their best recordings, and is listed on the The Rock and Roll Hall of Fame’s 500 Songs that Shaped Rock and Roll. An all-time classic, this million-selling song is also a 2007 Grammy Hall of Fame inductee. 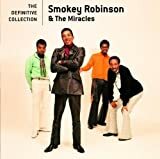 The Miracles’ original version of this song was also ranked #50 on Rolling Stone’s list of The 500 Greatest Songs of All Time. Read more on Wikipedia. Listen to a sampling of The Tracks Of My Tears on Amazon. 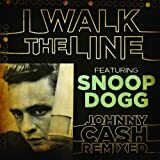 “I Walk the Line” is a song written by Johnny Cash and recorded in 1956. A 1970 movie drama of the same name, starring Gregory Peck, featured a soundtrack of Johnny Cash songs including the title song. In 2005, a biographical film entitled Walk the Line was produced starring Joaquin Phoenix as Johnny Cash and Reese Witherspoon as June Carter, directed by James Mangold. The song appears on the game Karaoke Revolution Country. Read more on Wikipedia. Listen to a sampling of I Walk The Line on Amazon. 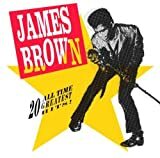 “I Got You (I Feel Good)” (commonly known as “I Feel Good”) is a hit song by James Brown. Released as a single in 1965, it is one of Brown’s signature songs, and is arguably his most widely-known recording. On the record, Brown revels in how “good” he feels (“nice, like sugar and spice”), now that he has the one he loves. Brown’s vocal performance features his trademark soul shouting vocals and screams. The song’s form is a twelve bar blues. Its brass-heavy instrumental arrangement is similar to that of Brown’s previous hit “Papa’s Got a Brand New Bag”, including the trademark emphasis “on the one” (i.e. the first beat of the measure) that characterizes Brown’s then-new funk style. The song also features a prominent alto sax solo by Maceo Parker. Read more on Wikipedia. Listen to a sampling of I Got You (I Feel Good) on Amazon. The song is best known for Jerry Lee Lewis’s rendition, which was recorded in the Sun Studio in Memphis, Tennessee on October 8, 1957, and released as a 45rpm single on Sun 281 in November 1957. It reached #2 on the Billboard pop charts, #3 on the R&B charts, and #1 on the country charts. It also reached #1 on the UK pop charts. The song was ranked as the 96th greatest song ever by Rolling Stone. The song title is derived from a Southern expression, which some Christians consider blasphemous, that refers to the Pentecost’s defining moment when the Holy Spirit manifested itself as “cloven tongues as of fire” and the Apostles spoke in tongues. In the Michael Crichton novel Rising Sun, the murdered prostitute, Cheryl Austin, is observed to be singing the song shortly before she is killed. Read more on Wikipedia. 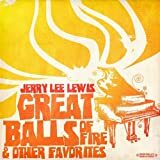 Listen to a sampling of Great Balls Of Fire on Amazon. 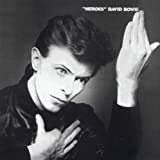 “Heroes” is a song written by David Bowie and Brian Eno in 1977. Produced by Bowie and Tony Visconti, it was released both as a single and as the title track of the album “Heroes”. A product of Bowie’s fertile ‘Berlin’ period, life in the city was crystallized into a tale of two lovers who come together in the shadow of the ‘Wall of Shame’ (though here “the shame was on the other side”). While not a huge hit at the time, the song has gone on to become one of Bowie’s signature tunes and is well known today for its appearance in numerous advertisements. It has been cited as Bowie’s most covered song after “Rebel Rebel”. Read more on Wikipedia. Listen to a sampling of Heroes (1999 Digital Remaster) on Amazon. “Fortunate Son” is a song by Creedence Clearwater Revival on their album Willy and the Poor Boys in 1969. It was released as a single, together with “Down on the Corner,” in September 1969. This song reached #14 on the United States charts. The song was inspired by David Eisenhower, the grandson of President Dwight David Eisenhower who married Julie Nixon, the daughter of President Richard Nixon in 1968 (Eisenhower later enlisted in the Navy Reserve). This song was popular during the Vietnam War and is included in several Vietnam films and computer games. The song symbolizes the thoughts of a man who is being drafted. This spoke out against the war in Vietnam. It is sung from the perspective of one of these men (who is not the son of a Senator, millionaire, or military leader, thus not a “fortunate son”), who ends up fighting in the Vietnam War. Fogerty performed the song in front of President Bill Clinton and a national TV audience on the steps of the Lincoln Memorial during the “America’s Millennium” show on December 31, 1999. Read more on Wikipedia. Listen to a sampling of Fortunate Son on Amazon. “A Change Is Gonna Come” is a 1964 single by R&B singer-songwriter Sam Cooke, written and first recorded in 1963 and released under the RCA Victor label shortly after his death in late 1964. Though only a modest hit for Cooke in comparison with his previous singles, the song came to exemplify the sixties’ Civil Rights Movement. The song has gained in popularity and critical acclaim in the decades since its release. Cooke was greatly moved upon hearing Bob Dylan’s “Blowin’ in the Wind” in 1963 and was reportedly in awe that such a poignant song about racism in America could come from someone who was white. While on tour in May 1963, and after speaking with sit-in demonstrators in Durham, North Carolina following a concert, Cooke returned to his tour bus and wrote the first draft of what would become “A Change Is Gonna Come.”The song also reflected much of Cooke’s own inner turmoil. Known for his polished image and light-hearted songs such as “You Send Me” and “Twistin’ the Night Away”, he had long felt the need to address the situation of discrimination and racism in America, especially the southern states. However, his image and fears of losing his largely white fan base prevented him from doing so. Read more on Wikipedia. Listen to a sampling of A Change Is Gonna Come on Amazon. 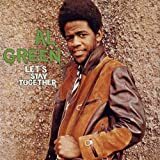 “Let’s Stay Together” is a song by Al Green on his 1972 album of the same name. It reached #1 on the Billboard Hot 100, and remained on the chart for 16 weeks. It also topped Billboard’s R&B chart for nine weeks. It was ranked the 60th greatest song of all time by Rolling Stone magazine on their list of the 500 Greatest Songs of All Time. “Let’s Stay Together” was later covered by Tina Turner, her second collaboration with the British Heaven 17/B.E.F. production team after “Ball of Confusion” in 1982, and served as her comeback single in late 1983, charting at #6 in the UK (one place higher than Al Green’s original – and her third U.K. Top 10 single, the first being “River Deep, Mountain High” and second being “Nutbush City Limits”, (both with former husband Ike Turner) and also #26 on The Billboard Hot 100 and #1 on the U.S. Dance Chart. The song became a turning point in Turner’s solo career and was later included on her multiplatinum selling album Private Dancer, released in the Spring of 1984. Read more on Wikipedia. Listen to a sampling of Let’s Stay Together on Amazon. 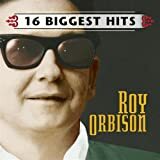 “Crying” is a rock and roll ballad written by Roy Orbison and Joe Melson and sung by Orbison. The song was released as a 45rpm single by Monument Records in July 1961 and went to No. 2 on the Billboard pop music charts. The song contains “a vivid combination of hurtful romantic longing combined with near operatic vocals” (Roy Orbison Biography, no date). It is remarkable in that Roy Orbison begins singing the climactic, final note slightly flat, sliding up by the end of the note to just under the correct pitch. That this was done for effect and this was confirmed in a live performance, Live at Austin City Limits, as well as on the 1987 re-recording from the album In Dreams: The Greatest Hits, on which he sang that note perfectly on key. Read more on Wikipedia. Listen to a sampling of Crying on Amazon. “Strawberry Fields Forever” is a song by the English rock band The Beatles. 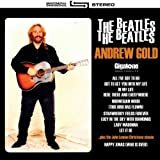 Recorded at the end of 1966, the song was written by John Lennon during the filming of How I Won The War and is formally credited to the Lennon/McCartney songwriting team. It is named after a Salvation Army house in Beaconsfield Road, Woolton, Liverpool where Lennon played as a child. While “Strawberry Fields Forever” was originally recorded for Sgt. Pepper’s Lonely Hearts Club Band (1967), it was instead released on 13 February 1967 in the UK, and 17 February 1967 in the United States as a double A-side single, backed with Paul McCartney’s “Penny Lane”. “Strawberry Fields Forever” reached number eight in the US, with numerous critics describing it as one of the group’s best recordings. It is one of the defining works of the psychedelic rock genre and has been covered by many other artists. The song was later included on the Magical Mystery Tour LP (1967). The Strawberry Fields memorial in New York City’s Central Park (near the site of Lennon’s murder at The Dakota apartment building) was named after the song. Read more on Wikipedia. Listen to a sampling of Strawberry Fields Forever on Amazon. And there is more to come. Bookmark this page to return for 50 more of the best songs ever! Pingback: Have you seen this music site? Dizzler.com?